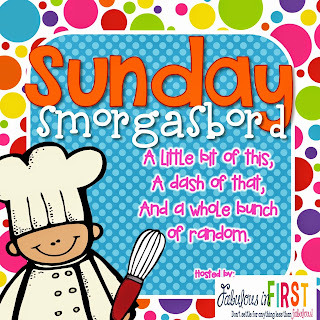 I am joining Fabulous in First for Smorgasbord Sunday! I love this linky, because you never know what great ideas or resources you'll find. I love how-to posts from bloggers who are old pros at blogging. I always learn something new. Miss Kindergarten has a great post on how to add a watermark to your blog photos. You should click head over there and check out the great post. I also have been following all the Close Reading Book studies that are going on right now in the blogging world. I was really lucky and won a copy of "Fall in Love with Close Reading from Elementary Antics. I can't wait to read it. You can enter to win a copy here.